Welcome to Powerboat Training New Zealand, the nationwide providers of quality powerboat courses based in Auckland, New Zealand. Our boating courses are mainly geared for Kiwis who want to be safe on the water and would rather have boating lessons on a boat, not in a classroom. 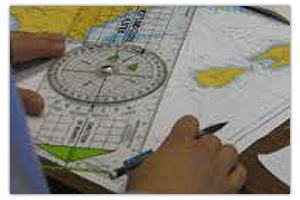 We do however also teach Day skipper, Boatmaster and Marine VHF courses. We offer boat courses on all types of powerboats from Jet-skis to large motor launches. 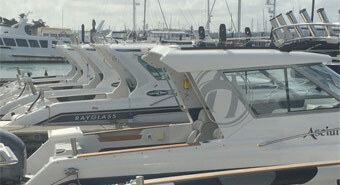 We can offer private tuition on your boat or you can come and get training on ours. We are highly specialist providers and believe cramming 20+ people into a class deteriorates quality. All our practical courses are run with a maximum of 3 people and our classroom courses rarely exceed 9. This way, we get to know you personally and your style of boating. We offer a broad offering of boating courses, including RYA level 2 courses and new boat owner courses. If you don’t find the exact boating course. Which Course for me ? Our most popular courses are the private or own boat tuition courses, which ensure you receive the best possible quality training which quickly brings you to a competent and confident level in the operation of a powerboat. If you are unsure which course is right for you try our Which course is right for me section. What a fantastic course. Two days on the water with Mat has taught me so much. I have had some previous experience, but now feel confident and more importantly safe on the water with my kids. Highly recommend to anyone that intends on skippering a powerboat. Thank Andy. Despite only spending a short time with Andrew for the duration of my Powerboat Level 2 course, I definitely came away with a sense of achievement, as well as a breadth of new knowledge. His methodical yet personable approach to teaching gives you both the tools and the confidence to get behind the wheel and excel with ease. An immensely experienced and highly recommended boating instructor. Five stars all round. 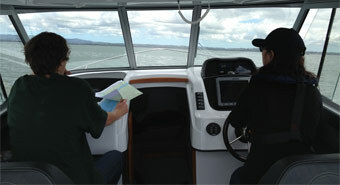 Hi, I have recently completed an 'Own Boat Training Course' with Power Boat Training NZ. I had no previous experience with boat handling or the rules of the sea. My tutor Andrew was great in teaching a novice like myself, Andrew's relaxed yet confident manner allowed for the lessons to be very informative, easy to understand & left me with the knowledge one requires in order to be a water safe & successful skipper of a boat. Chart readings, safety precautions, boat handling & a general knowledge of 'boat stuff' taught by a great bloke & in whom I would easily recommend to anyone who is a novice like me or to anyone who wants to increase their skills or knowledge base. It is my pleasure to endorse Power Boat Training NZ. Robert John-Andrew. We only teach Powerboating and nothing else which means we are highly specialist and focused in this area. We strongly urge you to ask any of our competitors what qualifications their instructors have. More than likely the response will be “RYA Level 2 Instructor” You need to know that this is considered a basic junior instructor in the boating world. As we are a niche specialist provider of powerboat courses only, our dedicated instructors have worked very hard to achieve “RYA Advanced” and “RYA Yachtmaster Power” Instructor which is the highest instructor qualification available, Therefore our instructors are at the top of their game. Our Chief Instructor is an RYA Trainer which means he is qualified to train Instructors, which only 6 people in New Zealand are qualified to do. Please check our reviews as testament to our professional service. If you are going to operate a rigid boat, don’t train on an inflatable boat. A rigid boat and an inflatable both handle differently. Other providers use inflatable boats or RHIBS, but we recognise that most Kiwis don’t use RHIBs. This is the reason we introduced an Atomix 600cc to the school fleet as shown below. We have just added a new Jetski to our training fleet, so are delighted to now be able to offer these courses.